BANDAR BARU NILAI, March 23, 2018 – Professor Tan Sri Dzulkifli Abdul Razak, Chairperson of Universiti Sains Islam Malaysia (USIM) who is the Founding Convener of Sejahtera Leadership Initiative (SLI) graced the soft launch of the maiden SLI Booklet entitled ‘Operationalizing the Philosophy of Sejahtera Leadership’ at USIM Chancellery this evening. The booklet provides easy reading on the philosophy, concept, history, values, principles, practices, and international connections of Sejahtera Leadership. It should be a required and basic reading for everyone. This booklet briefly described the premise in which SLI began its journey on January 10, 2017. The implementation of SLI program was done in the most consultative and inclusive manner. Malaysian and Korean experiences have been the linchpin connections beyond concepts and ideas. It has been a process augmented by a learning curve consisting of the sharing and international best practices. SLI is reaffirming the values commonalities in research from many scholars, professionals, students and organizations. It is balancing the Heart with the Head. Professor Tan Sri Dzul said, “Sejahtera relates to the people’s daily well-being experiences. Sejahtera practices at personal, family, organizational, societal and national levels, are all driven by the same core human values. SLI is cultivating the application of these values & principles by encouraging sustainable dialogue-based effective action. SLI has shown evidence that Sejahtera practices can be achieved through a collaborative and consultative process such as our engagements with scholars and practitioners in the Philippines, Indonesia, Korea, Japan. Mr. Yazdi Jehangir Bankwala, COO & Principal Values Consultant of Arpitha Associates for India, Malaysia & Singapore who was present at the launching event showed support for SLI’s vision that promotes a long-term ‘well-being through education and training’. He said, “At all level of people and organizations, Sejahtera is not an unrealistic pipedream of a utopia where people flourish and planet survives. It is an ambition being realized, right now, by people with passion. 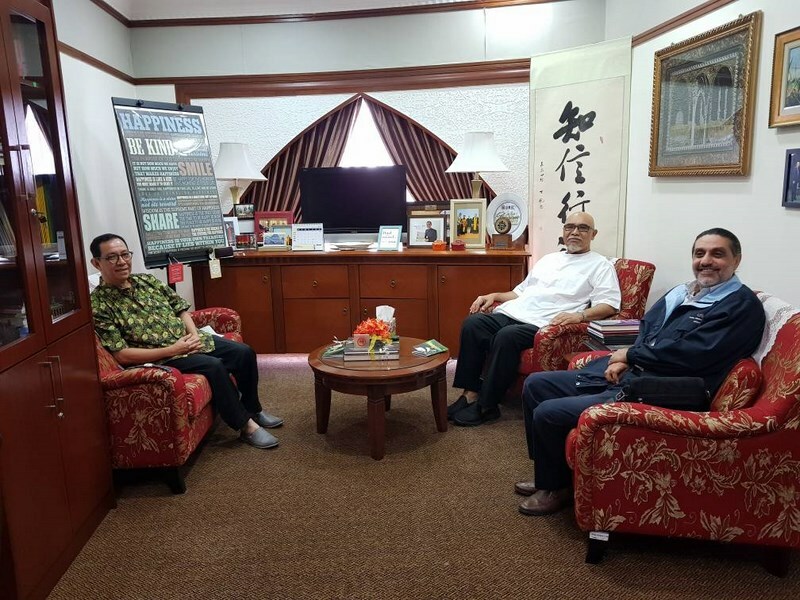 In this context, Professor Tan Sri Dzul is looking forward to head a delegation for India SLI Peace & Compassion Trip from October 12-16, 2018 and participate as a leading keynote speaker in a conference with the theme ‘The Sejahtera Outlook: Peace, Sustainability and Compassion’ at the Xavier University Bhubaneswar (XUB), Odisha, India. This conference is being organized by Dr. Nadarajah Manikan (or for short, Nat), Professor Chair of XUB Centre for Humanities and Compassion Studies (CHCS) who is also SLI Associate Director in collaboration with XUB School of Sustainability (XSOS). The broad objective of this conference is sharing of ideas, thoughts for possible collaborations in research, learning, co-creation/development and public engagements.